On the first day of 2019, I laid out a series of New Year’s resolutions for content marketers. At the top of the list was creating a documented content strategy. Maybe you came across the post. Maybe you nodded your head while reading that particular item and said, “Yup, I’m gonna do that.” But most likely, you still haven’t yet. I’m not trying to be presumptive, just speaking in probabilities: research tells us that documenting a content strategy has been the subject of pervasive and perpetual procrastination across our field for some time. What gives? Why do we keep putting it off? “Usually procrastination happens because the task seems too difficult,” according to psychiatrist A. Chris Heath, MD (via PsyCom). Makes sense, based on my personal experience. In this case, I think the difficulty and complexity seem a lot greater than they actually are. So, B2B content marketers, today I’m going to try and make both the “why” and “how” of this matter as simple and straightforward as possible. We’ll start with the first part. Why is a Documented B2B Content Strategy So Important? There are two primary reasons. External storage: When your goals are written down, in a tangible and visible form (whether a physical piece of paper or even a digital document) they are harder to ignore. This is why Post-it Notes exist. So that’s a big part of it. The second component is tangentially related, but has more to do with the collaborative nature of a marketing operation. When you’re trying to keep numerous individuals aligned around the same vision, it’s essential to have a single source of truth that’s accessible to everyone. The above psychological principles come into play from a team aspect — your colleagues will better adhere to a strategy if they can actually see it, and the process of encoding will take place if everyone is collectively involved with documentation — but there are also more basic and practical elements. When your content strategy is documented, you don’t have to re-explain things to people over and over again. You have a central point of reference for various freelancers, contractors, new hires, clients, external business partners, and so forth. It provides a concrete and objective basis for decision-making. You also might spot flaws in your strategy more quickly (for example, an SEO specialist may see something amiss in the documentation and say, “We’ve gotta fix that,” whereas it may have gone unnoticed). Are we all agreed on the value of a documented content strategy? Good. Let’s get one put together. In the interest of keeping things simple, we’ll flesh this out in high-level fashion. When you cut through all the variables and moving parts, content marketing strategy almost universally nests under three buyer stages: Discovery, Consumption, Action. If our content is going to accomplish anything, it needs to be discovered, it needs to be consumed, and it needs to ultimately drive action (all with the right audiences, of course). Discovery: Who is your target audience and how will they find your content? That first part is arguably the most important in this entire discussion. Who is your audience? What makes them tick? The more specific you can get, the better. When you gain a firm and comprehensive understanding of the people you want to reach — the challenges they’re trying to solve, the questions they’re trying to answer, the channels they tend to use — it can and should guide your entire strategy. This is one foundational area where the documentation process is particularly valuable. Going through the exercise of articulating details about your audience can expose gaps in your knowledge, and force you to challenge existing assumptions. Who is our buying audience? What differentiates the various segments and buyer personas? How can we develop an SEO strategy that aligns with their search behavior? Which channels do they use? Who do they listen to and respect in the industry or niche? What topic clusters or editorial themes will dictate our content direction? From here, you can build out your editorial plan and start focusing on consumption. Consumption: How and why will people engage and interact with your content? Once you’ve fleshed out a mix of channels and topics that align with your audience, the next step is focusing on engagement. Creating a bunch of content — even if it’s relevant and strategically aligned — won’t do you any good if people aren’t consuming it. Documenting your approach for making this happen will help keep everyone on the same page, while tying consumption to discovery. How will our content stand out from competitors? 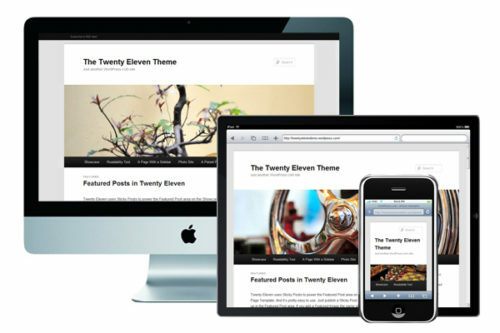 Are we optimizing on all fronts for mobile users? How will we compel clicks with our headlines, meta descriptions and social messaging? What will be the timing and cadence for publishing? What tools and technology will you use to plan, publish, and track your content? How will you respond and interact to audience engagement? Whose responsibility? Where do organic, paid, and influencers fit in? With consumption covered, you’re to focus on action. Action: What are your end goals, and how does your tactical mix connect to them? Strategy is defined as “a plan of action or policy designed to achieve a major or overall aim,” so ultimately it all comes down to the outcome. We’ve listed this part last, to keep things chronological, but really you’ll want to start with your objectives and work backward. Your content strategy is a bridge between your purpose/mission statement and your goals. You have to know where you’re going before you can chart a course. 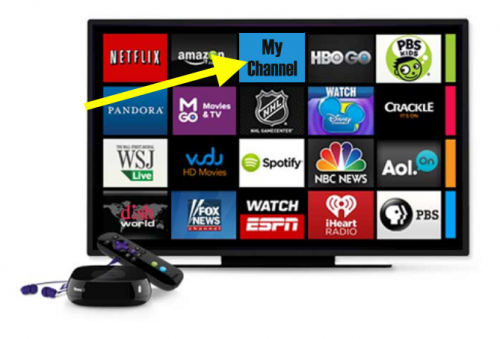 How will we convert our buying audience into customers? How will we build and maintain relationships? What are our key performance indicators (KPIs)? Where do our benchmarks lie? How will success ultimately be judged? What ongoing steps are in place for conversion optimization? How does every piece of the Discovery/Consumption framework above lead into this piece? Create a steady stream of qualified traffic at the top, engage them through the middle, and drive action at the bottom. That’s a simple strategic content funnel, and as long as it keeps flowing you’ll be in good shape. Documenting strategy helps everyone in your organization rally around the same structure for making it happen. If you can confidently check all three boxes above, you’ve got yourself a fundamental content marketing strategy that is built for success. There are plenty of extensions and additional elements that come into play, but for the sake of simplicity, this should cover your bases. By documenting all of this, creating external storage and encoding it for your team, you’ll be on your way to full focal alignment, minimizing miscommunications and ambiguities that plague many operations. And if you don’t have time to create that documented B2B content strategy at this moment? Make a note to yourself. Don’t underestimate the power of writing something down. 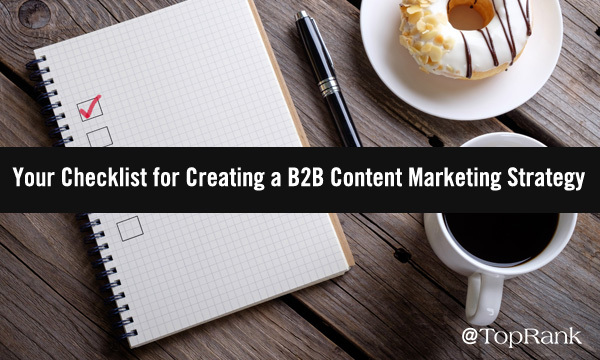 The post A Simple Three-Point Checklist for Documenting Your B2B Content Strategy Right Now appeared first on Online Marketing Blog – TopRank®.